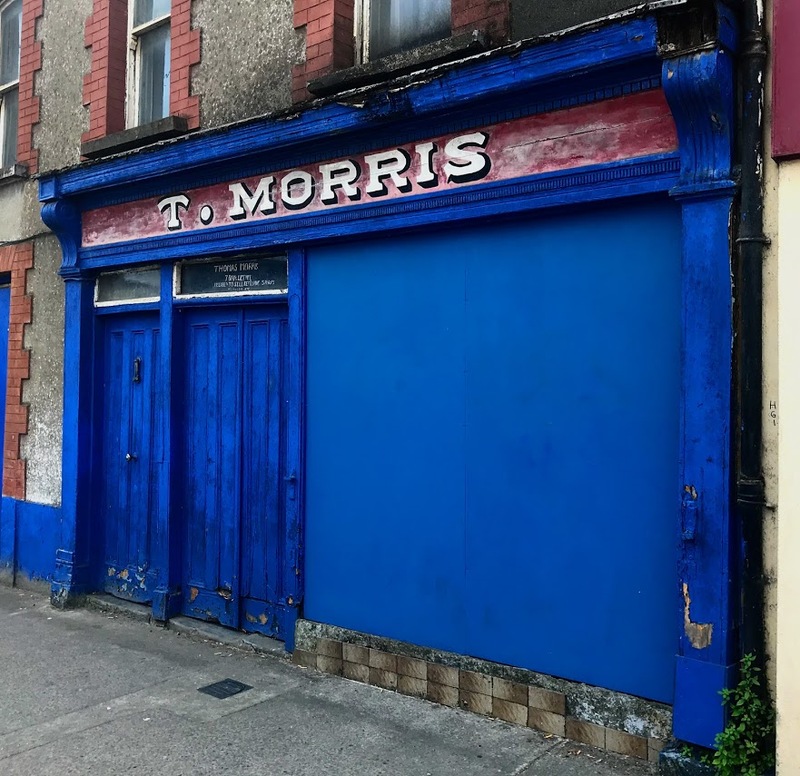 Moving to Askeaton and the Rathkeale Group of Parishes two years ago has opened up a new part of Ireland to me, and has brought me closer to parts of Ireland that might have more difficult to visit otherwise. 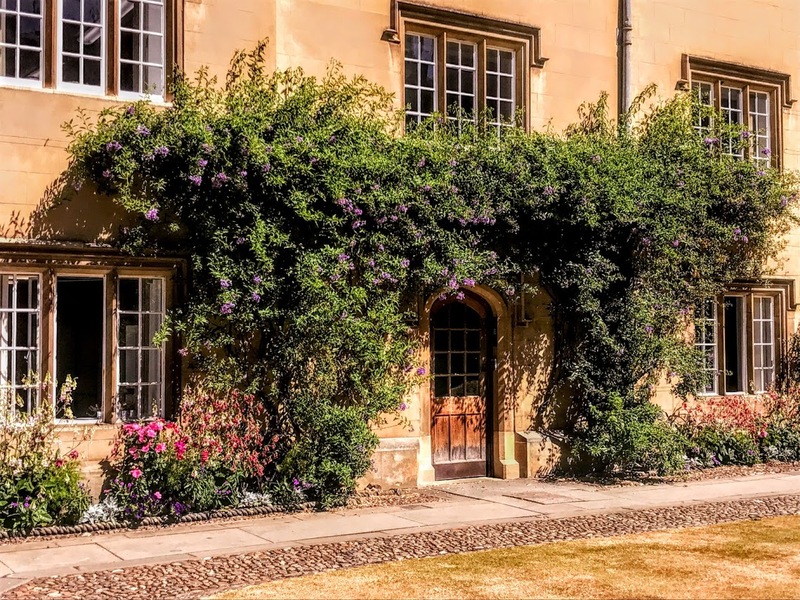 In previous years, in my end-of-year reviews at the end of December, I have often summarised the year’s events in my life, as well providing my own commentary on the year in news, sport, and church life. However, newspapers and television stations provide substantial summaries of the past year at this time of the year, and the consequences of ‘Brexit’ and the Trump presidency have been devastating and depressing at one and the same time throughout 2018. Instead, I have decided to end the year on note of celebration over the next few days, looking back at ten countries I have visited this year, ten cathedrals I have visited in Ireland, ten synagogues I have visited across Europe, and ten places I have visited in Ireland this year. Earlier today, I was looking back at ten countries I have visited this year. 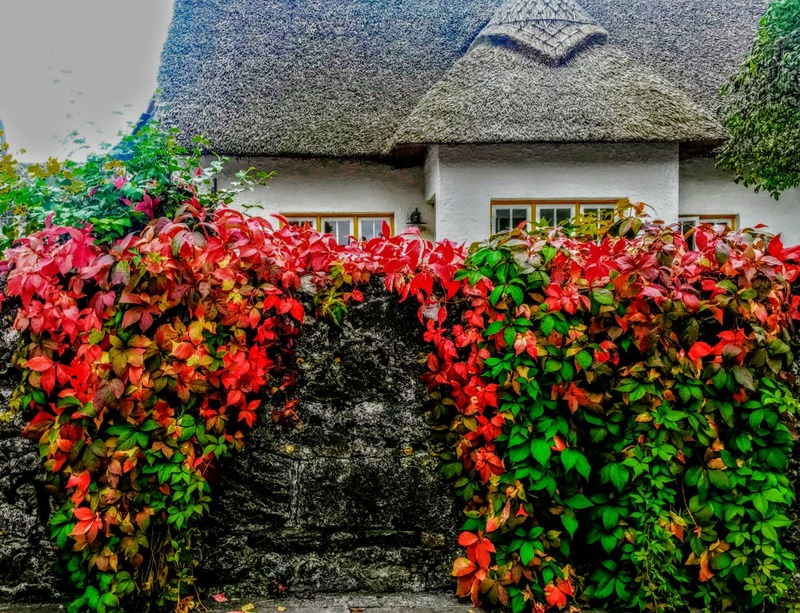 But this evening I want to look back at ten places I have visited in Ireland this years. When the Easter Vestry meetings were over, I took a day or two off in Ballinskelligs (Baile ’n Sceilg) in south-west Kerry and returned to the small village of Dungeagan, where I stayed in Tig an Rince. Over half a century ago, when I was in my teens in 1966, I had spent a month in Ballinskelligs at the Irish College, in a desperate attempt by my parents to ensure I did not fail Irish in my school exams. In April this year, I found the house I had stayed in over 50 years, walked the long sandy beach, and rekindled many happy memories. That visit to Ballinkelligs also brought me to Glenbeagh, Caherciveen, Waterville and Killroglin, around the Ring of Kerry, allowed me to see the Skelligs Rocks, invited me to visit a chocolate factory for the first time, and brought me back to Valentia Island. A retirement gift from colleagues at the Church of Ireland Theological Institute allowed two of to stay at the Wineport Lodge in Co Westmeath. 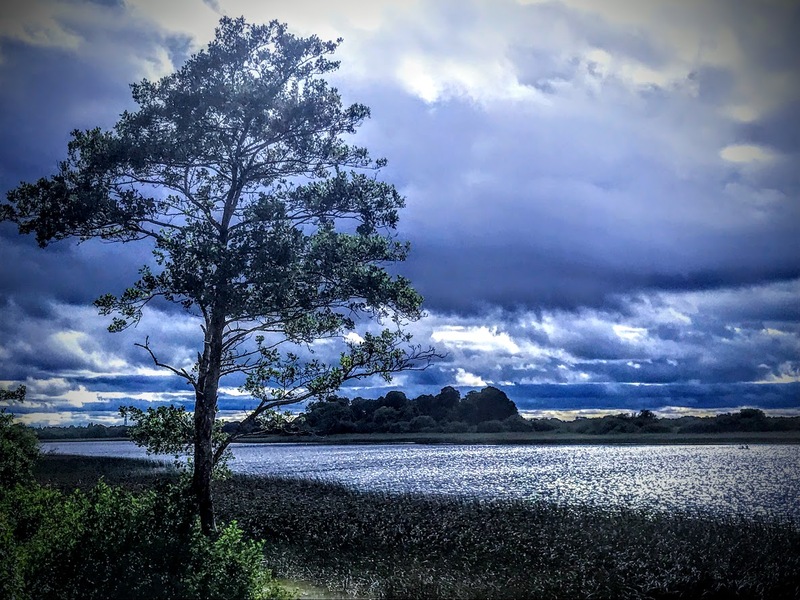 It was a culinary experience, and opportunity to enjoy being by the shores of Lough Ree and on the banks of the River Shannon. During that stay we also visited Athlone, Mullingar and Ardagh. Because I passed a certain age earlier this year, I now have free use of public transport in Ireland. Occasionally, on a day off in the middle of Ireland, I have decided to hop on a train or a bus and visit a town that I might not otherwise have visited, and explore its streets, its architecture and its history. An example of one of those short day-trips is Charleville, Co Cork. But the surprising and unexpected story was the story of Daniel A Binchy, the first Irish Minister or ambassador to Germany from 1929 to 1932. His reports to Dublin were sharp and prescient. He predicted the consequences of the failure of the democratic parties to work together and had no illusions about the brutality, cynicism, anti-Semitism and murderous racism of Hitler’s new regime. I got to see not just one but two Saint Patrick’s Day parades this year: one on Saint Patrick’s Day itself, when I was invited onto the reviewing platform in Askeaton, and the second in Doonbeg, Co Clare, the next afternoon. Two of us had crossed the Shannon Estuary on the ferry from Tarbert, Co Kerry, to Kilimer, Co Clare, and drove out on to Doonbeg on the west coast of Co Clare. Doonbeg has beautiful beaches and is known for its surfing. Initially, we thought we might look for the Trump Golf resort, hoping against hope that he would never visit the area and that we would not need to familiarise ourselves with the Trump properties in preparation for any future protests. But, if Trump delivers on his commitment to Leo Varadkar in the White House to visit his property in Doonbeg next year, then it is important to know where the Trump International Golf Links and Hotel are. We were in search of lunch, but nothing could entice me to explore the possibility of lunch in a Trump Hotel … no matter what the food is like, or how enticing the menu might be, nothing could entice me to add to that man’s wealth or boost his profits, no matter how meagre my contribution might be. 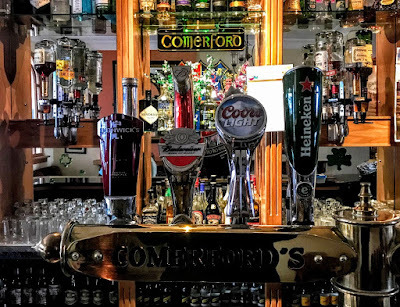 Instead, we visited Comerford’s Bar in Doonbeg, which dates from 1848, according to signs in the pub, although it has its origins from earlier in the previous decade. 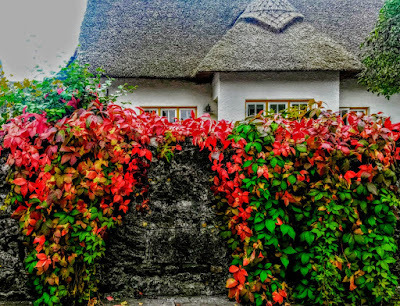 This branch of the Comerford family of Doonbeg is said to have originated at Clare Cottage, once known as Comerford Lodge, a pre-famine thatched cottage in Spanish Point. 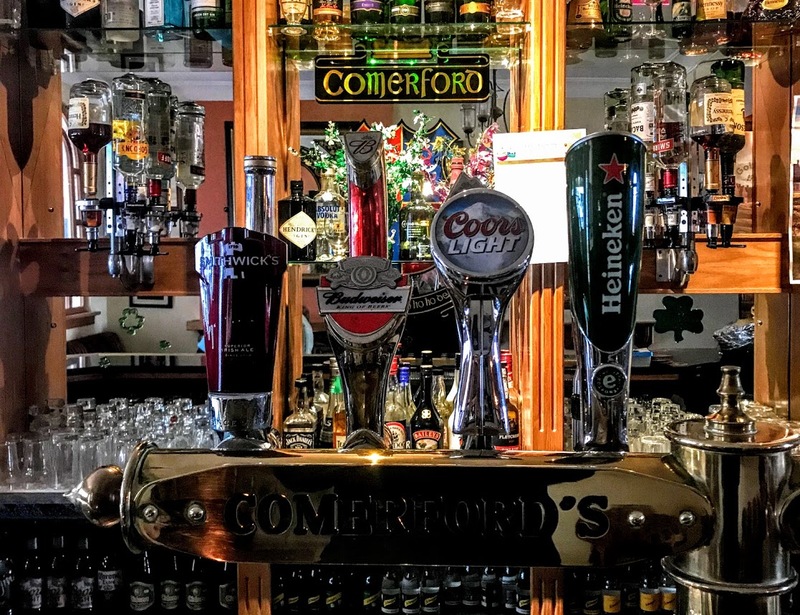 In 1839, George Comerford, originally from Spanish Point, married Lucy Burns, whose family owned the pub in Doonbeg. It was easier to indulge in a little but of family history with the Comerfords than to think about the end of history brought about by Trump. The irony is that despite continuing to deny climate change, that man wants the Irish taxpayers to fund shoring up the sand-dunes that have been damaged by climate change and to protect his golf links from coastal erosion. 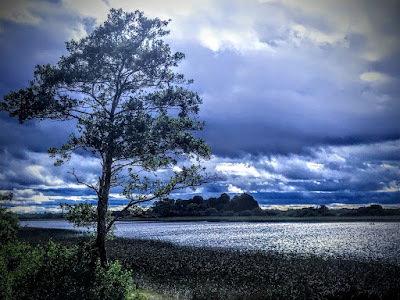 I hopped a train in Limerick early one morning for a day-trip to Thurles, Co Tipperary, which had once been a stopover in my childhood days during journeys between Dublin and Cappoquin, Co Waterford. In Thurles, I visited the Cathedral of the Assumption, which is JJ McCarthy’s only Romanesque-style cathedral, Saint Mary’s, the Church of Ireland parish church, Saint Patrick’s College, which Newman had visions of turning into the Oxford of Ireland but which is now part of Mary Immaculate College, Limerick, and searched for castle ruins. Ennis, which has been voted the ‘Friendliest Town in Ireland,’ is another town I visited on one of these short, one-day journeys from Askeaton by bus and train. It was a rainy day, but I visited the Cathedral of Saint Peter and Saint Paul, Saint Columba’s Church, Drumcliffe, said to be the last church in the Church of Ireland built before disestablishment, and the ruins of the Franciscan Friary with its restored royal MacMahon tomb. One of my longer journeys from Limerick was by train to Waterford City. This took a little more planning, as I have learned to dread the prospect of either missing a train connection at Limerick Junction, or being stuck in the wilderness at Limerick Junction for too long, without any chance to buy a coffee. When I was a child in Cappoquin, Waterford was a big city, and the large towns we tended to find ourselves in included Thurles and Dungarvan. 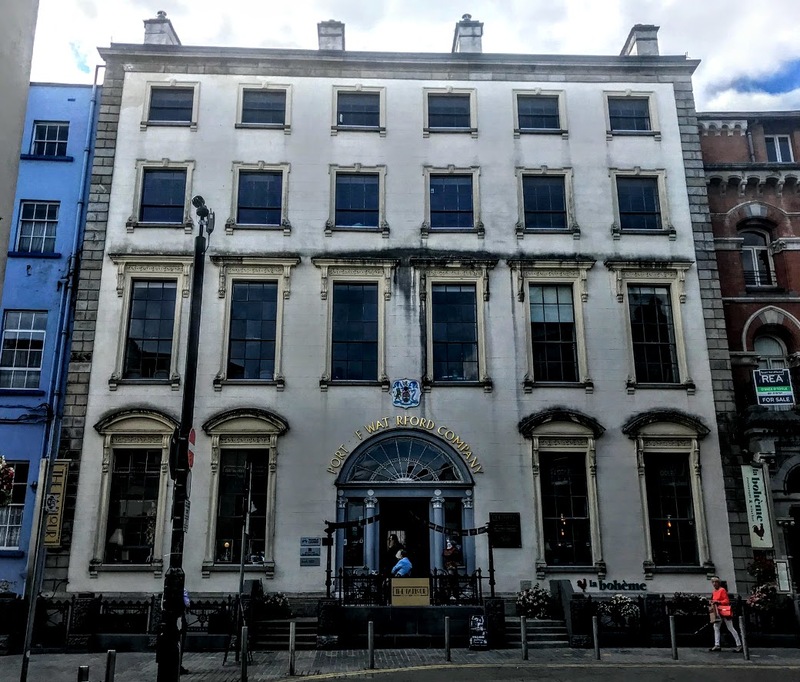 Waterford was an excursion, and it an exciting place to visit, with Reginald’s Tower and the Clock Tower as the two most noticeable landmarks on the Quays. 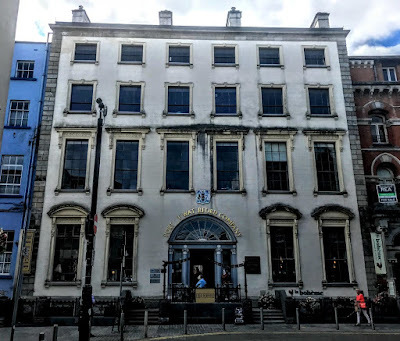 I had breakfast before visiting the two cathedrals, strolling through the narrow streets that September day, and noticing the passing of some familiar landmarks, including Doolan’s on Great George’s Street, once a picture postcard image of Waterford. 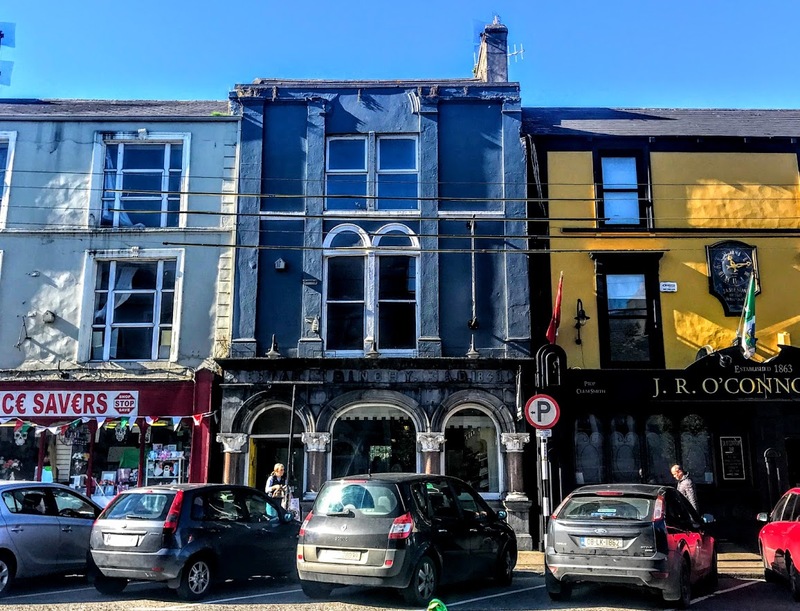 Roscrea, Co Tipperary, is another town in this region that is accessible on a day-trip from Askeaton by public transport. In September I visited the town with its ancient monastic site, round tower, Romanesque doorway and high cross beside Saint Cronan’s, the Church of Ireland parish church, Roscrea Castle and Damer House, the ruins of the Franciscan Friary and Saint Cronan’s Roman Catholic parish church, the Methodist Church on the Mall, and Mount Saint Joseph Abbey, the Cistercian abbey and school on the edges of the town. Although I am now living in Askeaton, I have stayed overnight in two other places in Co Limerick this year: the Dunraven Arms Hotel in Adare, which was the venue for this year’s clergy conference for the Diocese of Limerick, Killaloe and Ardfert and the Diocese of Tuam, Killala and Achonry; Glenstal Abbey, where I stayed for a 24-hour retreat in July. 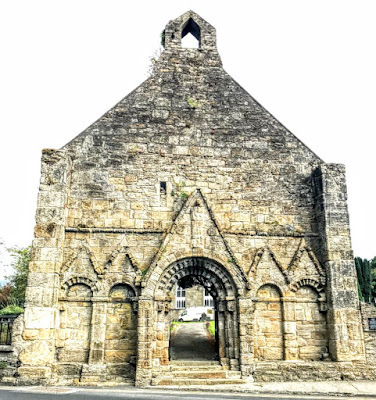 I also spent time in Limerick city itself and time exploring neighbouring towns and villages in the country, including finding the ruined church in Ballycahane – although Ballycahane is in the Adare group of parishes, as Precentor of Limerick I am also (nominally) the Prebendary of Ballycahane. But, whatever my choices might have been, it has been a good year this year. The First Sunday of Christmas. Saint Brendan’s Church, Kilnaughtin (Tarbert), Co Kerry. Readings: I Samuel 2: 18-20, 26; Psalm 148; Colossians 3: 12-17; Luke 2: 41-52. I wonder whether you were expecting this morning’s Gospel story (Luke 2: 41-52) as our Gospel reading on this, the First Sunday of Christmas? ● or, perhaps the flight into Egypt (Matthew 2: 13-23). You may even be wondering: Why are we jumping from the story of Jesus’ birth in a stable in Bethlehem on Christmas Day to the story of the teenage Christ who is lost in the Temple on this first Sunday after Christmas? What happened to the intervening years between the story of the stable and Jesus at the age of 12? But this story completes the early identification of who Jesus is in Saint Luke’s Gospel. The Angel Gabriel tells the Virgin Mary that her child will be ‘holy’ and will be called the ‘Son of God’ (Luke 1: 35). At the presentation, he is identified as ‘holy’ (Luke 2: 23). Now, in this story, he identifies himself as God’s Son. 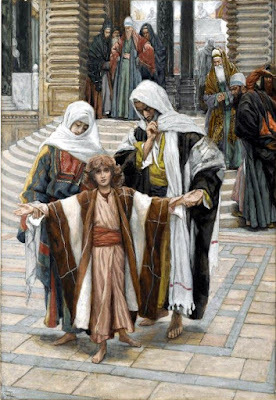 In the Old Testament reading and the Gospel reading, parents living in provincial towns go to the Temple to worship and there they find their young sons ministering in the Temple. But this morning we might ask ourselves where do we find Christ? Where do we seek him? 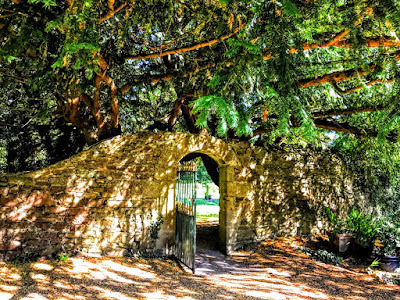 Where is God’s Temple, the place where we are found to be truly in communion with God? And who got lost … the child or the parents? I still remember with dread how we once lost sight of one of our children on an evening out in Crete over 25 years ago. He was about three or four at the time and was missing only for a few moments. It may have been for only three or four minutes, but the fear and panic that struck us made it feel not like three or four minutes as we searched and shouted out his name, but like an eternity. Temporary fears seemed to have everlasting consequences that we could not even bear to contemplate in our furtive search. I still remember the horror of that moment, it was so vivid and so real. When we found him, he knew where he was all the time, and could not grasp the enormity of our fears. What was he doing that he lost sight of us? What were we doing that we lost sight of him? Did we ever thank those who helped our search? Did that experience inhibit us in his later years when we should have let our sons have the freedom to grow and to mature? Christ is no longer a child in this reading. But Saint Joseph and the Virgin Mary do not yet see him as an adult. I can fully identify with them in their panic and in their fear in this reading. 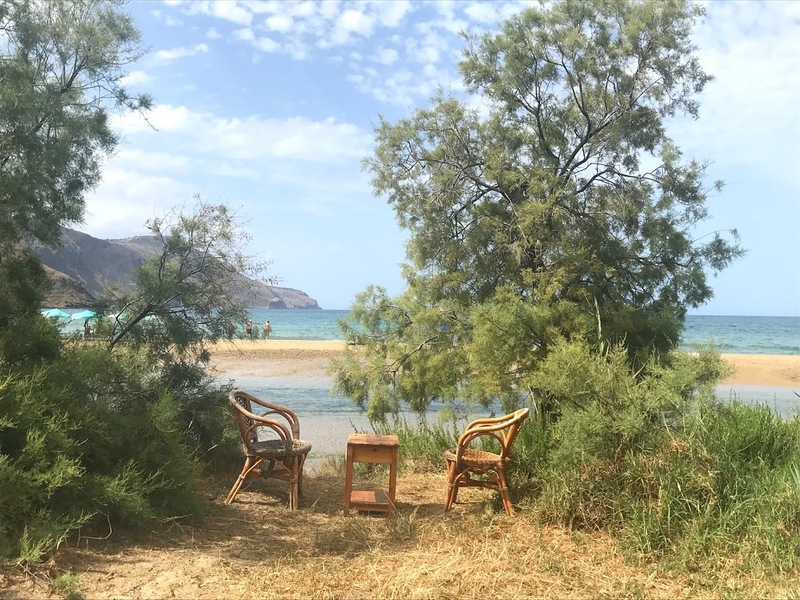 It was our pattern to go on holiday in Greece each summer, and we had felt safe, perhaps naively safe, wherever we were. Perhaps, because they went to Jerusalem for the Passover each year, Saint Joseph and the Virgin Mary felt comfortable and relaxed as they moved through the courts and the arcades of the Temple, and through the side streets and the market stalls of Jerusalem. On the way home, if Jesus was regarded still as a child, he might have travelled with the women in the caravan; if he was now seen as a man, he might have been expected to travel with the men in the caravan. 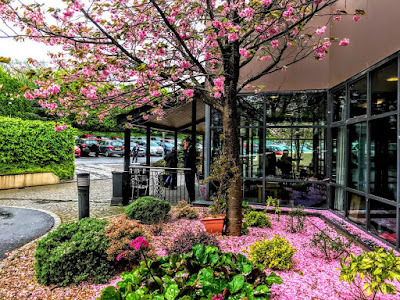 Any family travelling through a modern airport on holidays today, with the father taking some children through and the mother taking others, understands completely what may have happened at that Passover. If it is an experience you have forgotten, gone without or have yet to go through, you can catch some of the flavour of the setting for this story by watching one of the all-time favourite Christmas movies, Home Alone (1990). In the opening chapters of his Gospel, Saint Luke portrays Saint Joseph and the Virgin Mary as a devout and righteous couple. They observe the religious rites and practices of Judaism, they have Jesus circumcised (Luke 2: 21), and they are then said to have acted ‘according to the law’ three times (verses 22, 24, 39). In this reading, we are told that they go to the Passover festival in Jerusalem ‘every year’ and they observe the ‘custom of the feast’ (see KJV, NIV). With this emphasis on the family’s religious devotion, Saint Luke is saying the Jewish boy Jesus grew up in a thoroughly Jewish world. It is a story that challenges anti-Semitism whenever and wherever it finds its ugly expressions today. The setting for this story is the festival of the Passover, celebrating the deliverance from slavery in Egypt. Every year, Joseph, Mary and Jesus go to Jerusalem for this festival (verse 41), and they are still doing this in the year he is a 12-year-old (verse 42). When the eight-day festival ends, the people they have travelled with begin the long journey back home to Nazareth. The entourage in this caravan includes both ‘relatives and friends’ (verse 42), which makes it a safe group but also a large crowd. They have gone a full day when Joseph and Mary realise Jesus is missing. Perhaps they were about to have a meal together, perhaps they had the tents up or had arrived at a hostel or inn to stay the night. They search for him there first of all before returning to Jerusalem. 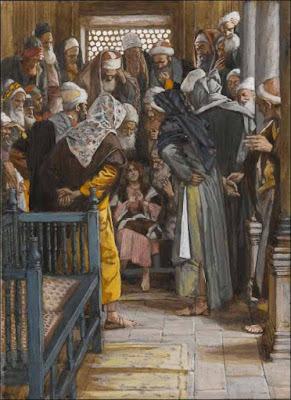 After three days, they find Jesus in the Temple, ‘sitting among the teachers’ (verse 46), the experts in Jewish law or rabbis. He not only listens and asks questions, but he also answers their questions. This was the rabbinical style of teaching at the time. When Saint Joseph and the Virgin Mary find him, they are distraught as Mary asks, ‘Child, why have you treated us like this? Look, your father and I have been searching for you in great anxiety’ (verse 48). In their eyes, Jesus is still a child. But the words in verse 49 mark a turning point in this Gospel. These are the first words Christ speaks in the Gospels. And Jesus speaks of his bounden duty to do the work of God, the work of God the Father. The Virgin Mary and Saint Joseph do not understand what Jesus says to them (verse 50). Now they have found Jesus, they probably have to travel back north to Nazareth by themselves, which was much more dangerous than traveling with the caravan they had had to leave. This danger is understood by everyone who first heard the story of the Good Samaritan (Luke 10: 25-37). Perhaps this too is a literary hint at the later dangers in the journey that Jesus makes to Jerusalem. 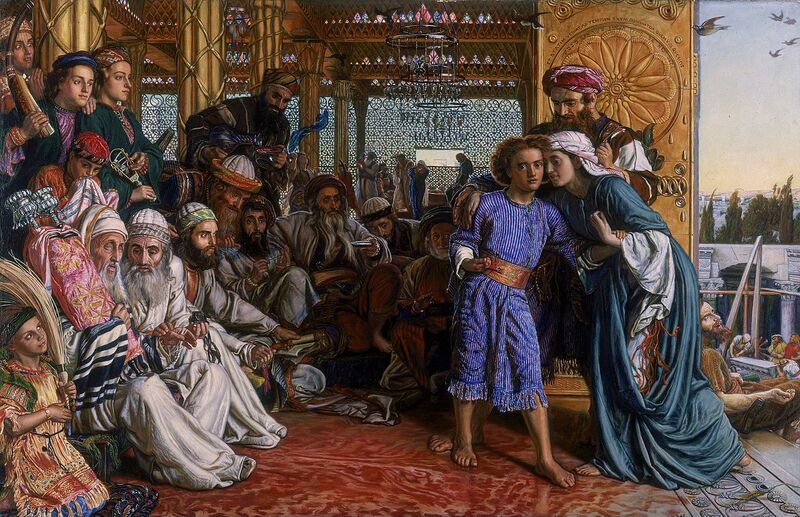 When the family returns to Nazareth, Jesus is obedient to his parents in everyday life. In spite of not understanding what has happened and what has been said, Mary ‘treasured all these things in her heart’ (verse 51) – just as she ‘treasured all these words and pondered them in her heart’ after she heard the shepherds’ report of what the angels proclaimed (Luke 2: 19). 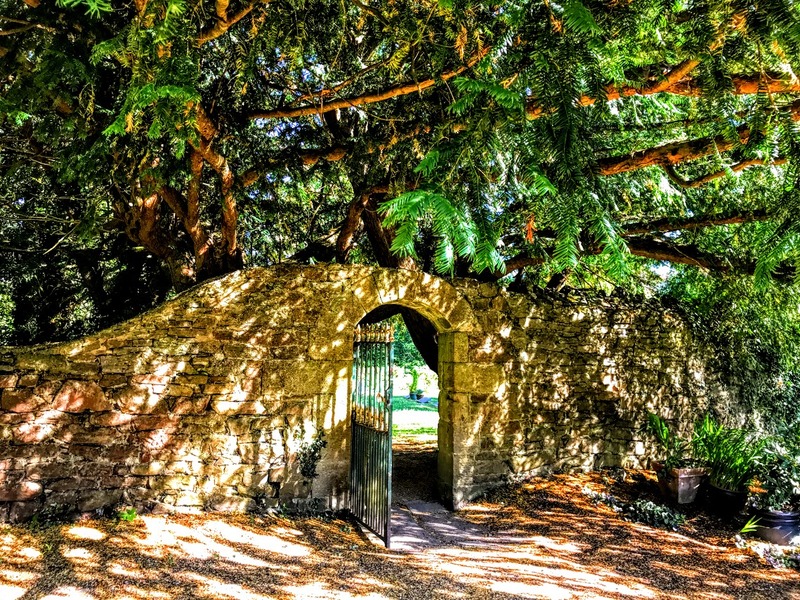 Saint Luke says that after this story, Jesus spent his years in Nazareth growing ‘in wisdom and in years, and in divine and human favour’ (verse 52). But, in the meantime, something has changed. Jesus is now on the way, on the path. Did you notice how Joseph and Mary search for Jesus for three days? When early Christians heard this story in the context of the Passover (verses 41-42) and the phrase ‘after three days’ (verse 46), they would have thought immediately of the Passover when Christ was raised from the dead after three days. So, we should also read this story in the light of the Resurrection. In the Resurrection, the new family of God supersedes our earthly family, the Temple becomes the place where Christ is at the centre. He is in dialogue with the tradition, yet with a new understanding. There can be no true meaning in Christmas unless it looks forward to Easter. 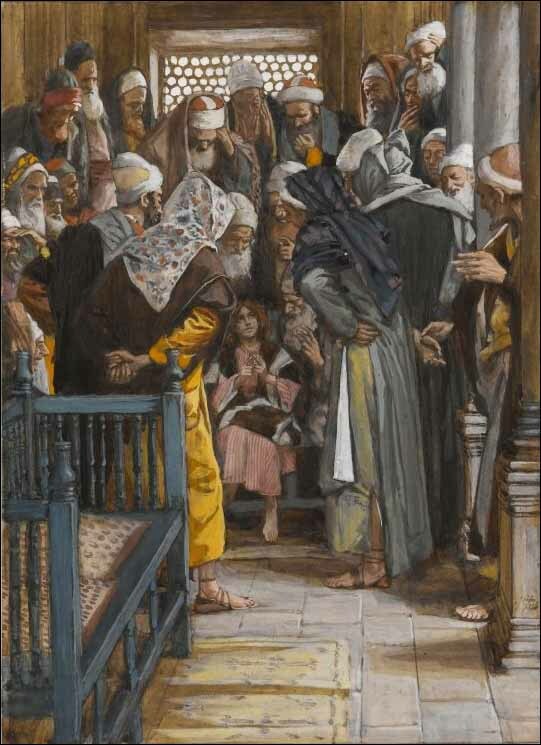 When we next meet Jesus in this Gospel, he is at the Jordan, about to be baptised by Saint John the Baptist, which is the Gospel reading (Luke 3: 15-17, 21-22) for Sunday week, the First Sunday after the Epiphany (13 January 2019). 41 Now every year his parents went to Jerusalem for the festival of the Passover. 42 And when he was twelve years old, they went up as usual for the festival. 43 When the festival was ended and they started to return, the boy Jesus stayed behind in Jerusalem, but his parents did not know it. 44 Assuming that he was in the group of travellers, they went a day’s journey. Then they started to look for him among their relatives and friends. 45 When they did not find him, they returned to Jerusalem to search for him. 46 After three days they found him in the temple, sitting among the teachers, listening to them and asking them questions. 47 And all who heard him were amazed at his understanding and his answers. 48 When his parents saw him they were astonished; and his mother said to him, ‘Child, why have you treated us like this? Look, your father and I have been searching for you in great anxiety.’ 49 He said to them, ‘Why were you searching for me? Did you not know that I must be in my Father’s house?’ 50 But they did not understand what he said to them. 51 Then he went down with them and came to Nazareth, and was obedient to them. His mother treasured all these things in her heart. Liturgical colour: White or Gold. As with every year, I have visited England throughout the year. I have stayed twice in London during two-day residential meetings of the trustees of the Anglican mission agency USPG (United Society Partners in the Gospel): at the Royal Foundation of Saint Katharine in Limehouse in the East End in January, and in November in the Kairos Centre in south-west London, close to the campuses of Roehampton University and overlooking Richmond Park. I was also in London for meetings of USPG’s trustees in May and September, and at the meetings of USPG trustees and council and the annual USPG conference at the High Leigh Conference Centre near Hoddesdon in July, and a regional meeting of USPG volunteers and supporters in Birmingham at the end of November. I also visited Lichfield three times this year: for two days of retreat and reflection and to celebrate my birthday in January, to lecture on the Wyatt architectural dynasty in April at the invitation of Lichfield Civic Society, and again in November, for a short visit to Lichfield Cathedral and the Chapel of Saint John’s Hospital. I missed the annual summer school organised in Sidney Sussex College, Cambridge, organised by the Institute for Orthodox Christian Studies, but I had a short visit to Cambridge in early July, while some of the fading wisteria could still be seen in the courts of Sidney Sussex College. In May, I spent a few days in the south of France, staying in Sainte-Marie-la-Mer, a coastal town near Perpignan. Although I had been to Paris half-a-dozen times or more in the past, this was my first time back in France since 2006, and my first time to visit the South of France. In Perpignan, I visited the Palace of the Kings of Majorca (Palais des Rois de Majorque), the Cathédrale St-Jean, with its Gothic architecture, its wrought-iron bell tower and its cloistered cemetery, and the statue of the Spanish surrealist artist Salvador Dalí facing la Gare de Perpignan, which Dalí proclaimed it to be the ‘Centre of the Universe’ after he experienced a vision of cosmogonic ecstasy there in 1963. Beyond Perpignan, I visited Collioure on the Côte Vermeille, close to the French border with Spain at the Pyrénées. Collioure, with its typical Mediterranean bay, attracted several Fauvist artists who made it their centre in the early 20th century. They were inspired by the colours of Collioure, its castle, mediaeval streets, and the lighthouse converted into the church of Notre-Dame-des-Anges. Almost 100 reproductions of works by Matisse and Derain are exhibited around the port and harbour in the very same place where they painted the originals in the early 20th century. I also visited the hills and narrow streets of Elne, including the Cathedral of Sainte-Eulalie-et-Sainte-Julie, and the Fort de Salses, also known as the Forteresse de Salses, an impressive and massive Catalan fortress 20 minutes from Perpignan, off the road to Narbonne. 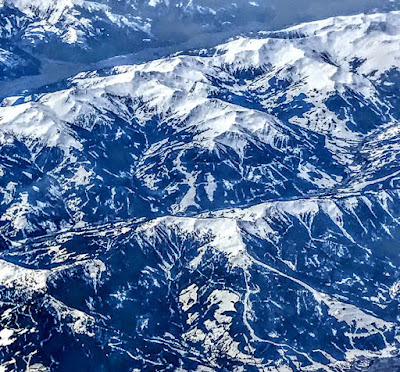 I passed through Frankfurt Airport twice (4 and 9 April), on my way to and from Thessaloniki to experience the celebrations of Orthodox Easter in the northern Greek city. 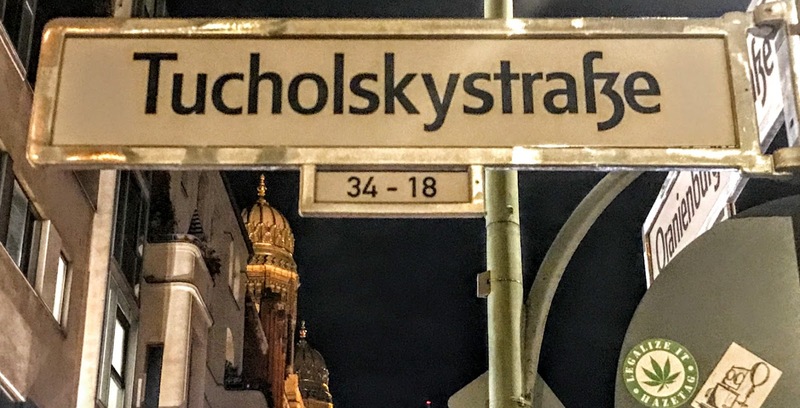 Both stopovers allowed time to eat, but I was back in Germany later in the year (11 to 14 September), when I spent three or four days in Berlin. 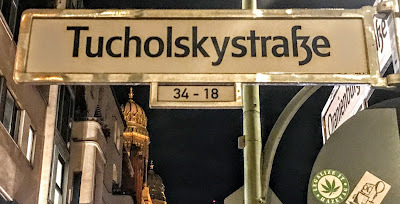 I stayed on a corner of Tucholskystraße, around the corner from Oranienburger Straße and the Neue Synagoge or New Synagogue, built in 1859-1866 as the main synagogue of Berlin’s Jewish community. The visit included a day at the former concentration camp in Sachsenhausen and a four-hour walking tour of Jewish Berlin’s destruction and rebirth. I also visited the Pergamon Museum, the Brandenburg Gate, Checkpoint Charlie and the site of the Berlin Wall, Berlin Cathedral (Berliner Dom) and a number of historic churches, including the Marienkirche and Sophienkirche, and strolled along Unter den Linden. After experiencing Easter in Thessaloniki, it took three flights to get back to Dublin in April: a flight to Vienna, a flight to Frankfurt, and from there to Dublin. For the travel weary, some say you cannot count being in a country if you have not stayed overnight. Most agree that it does not count if you only touch down for a refuelling or to change flights. But for me, the safe definition is if you have to pass through passport control and have at least a cup of coffee. In the past, I have stayed in Vienna in 2002, when I was on a panel at a seminar organised by the Diplomatic Academy of Vienna, and stayed over twice in 2005 on way to and from China for Church visits. This time there was time for no more than a cup of coffee in the airport … but I suppose that still counts. I was in Greece twice this year, and stayed in three places. I stayed in Thessaloniki from 4 to 9 April, experiencing Orthodox Easter, but also visiting the city’s only surviving synagogues, the old Jewish quarter, the Jewish Museum, some surviving Jewish mansions on Vassilisis Olgas Avenue, and the Jewish Holocaust Memorial at Liberty Square, a bronze sculpture by Nandor Glid that has been desecrated a few times this year. In Thessaloniki, there was time for meals with friends, walks along the seafront, visits to churches, cathedrals and a few quiet hours in the Monastery of Vlatadon which is perched like a balcony above the city and the harbour, as well as a full-day visiting Mount Athos. Later, I spent two summer weeks (6 to 20 June) back in Crete, with one week in Rethymnon, staying at Varvaras Diamond Hotel near the beach in Platanes, and a week at the Corissia Princess Hotel in Georgioupoli. There were days strolling through the labyrinthine back streets of Rethymnon, long lingering dinners with friends, and days on the beaches in Platanes and Georgioupoli, visits to cathedrals, churches and icon workshops, visits to Chania in the west of Crete, to mountain villages, through gorges and across the White Mountains, to Hora Sfakíon and Frangokastello on the south coast, to the Monastery of Saint George in Karydi, and to villages and olive groves in the mountains. With a new passport in my hands from August, I visited Spain at the end of October, and spent four nights in Seville (23 to 27 October. 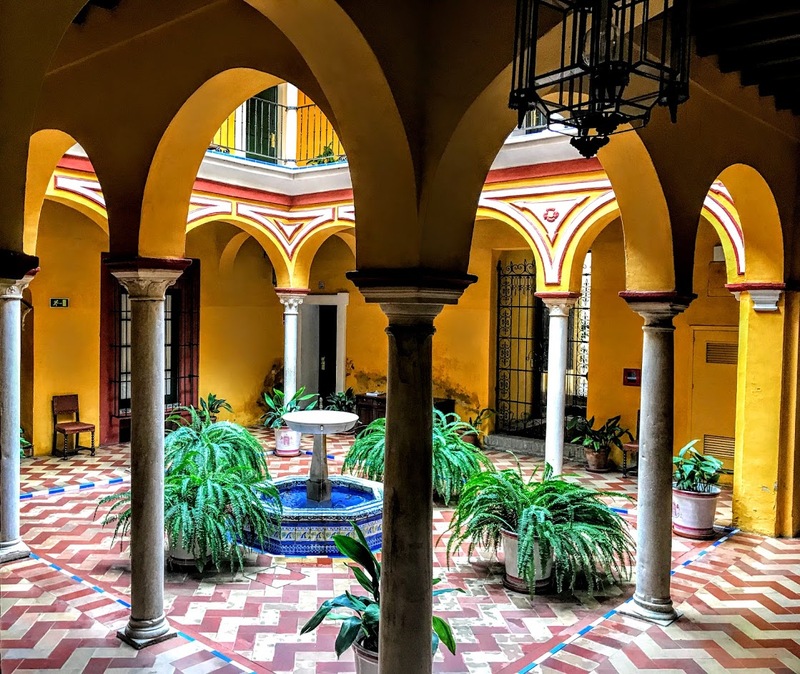 I stayed in the Hotel Las Casas de la Judería de Sevilla, an unusual hotel complex made up of 27 traditional houses, where the 134 different rooms are linked through 40 patios, courtyards, gardens and a labyrinth of small passageways, balconies and Roman-style tunnels. As well as visiting the Cathedral, the Real Alcazar and the other sites every tourist tries to visit in Seville, I also visited places in Seville and Tarifa associated with the extraordinary life of Josefina de Comerford, Doña Josefa Eugenia Maria Francisca Comerford MacCrohon de Sales (1794-1865), who was involved in Spanish political intrigues in the early 19th century. 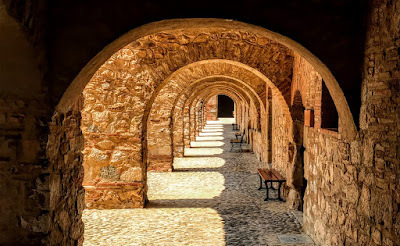 These include the Convento de la Encarnación, where she was confined after her death sentence was commuted to life in a convent, and the Corral del Conde (the Count’s Yard), where she lived out most of her later years. My visit to Seville also offered the opportunity to visit Tangier in Northern Morocco (25 October). 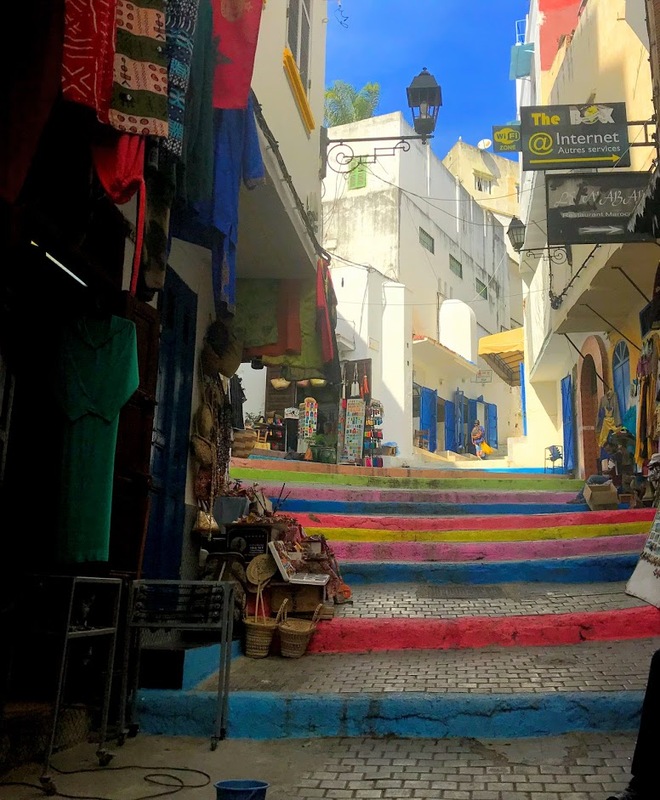 Tangier once had a reputation as a safe haven for spies and their spying activities. 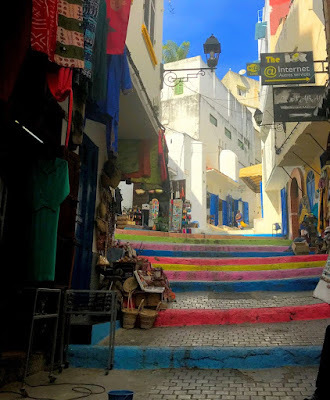 It played host nests of spies throughout the Cold War and before that during World War II, and the association of Tangier with spies and their secretive lifestyles has made the city a location for many books and films. 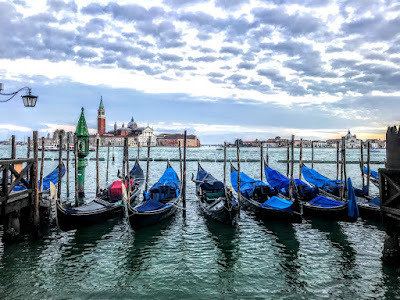 Some important dates in the family calendar were marked with a few days in Venice near the end of the year (5 to 9 November 2018). I stayed at the Palazzetto San Lio in the heart of Venice, between the Rialto Bridge and Saint Mark’s Square. It is at the end Calle del Frutariol in the sestiere or district of Castello, and just a stone’s throw from Rialto and the Grand Canal. I had visited Venice in the past while staying in other p;aces in northern Italy. But this was my first time to stay in Venice itself. Palazzetto San Lio is a Venetian palace built in the 17th and 18th centuries, and has been owned by an old Venetian family for generations. 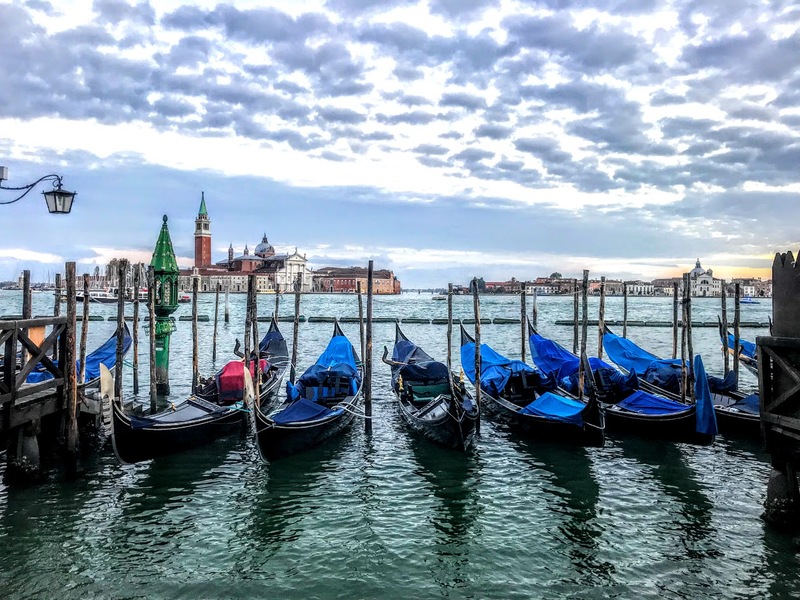 During those few days, there were visits to Saint Mark’s Basilica and Saint Mark’s Square, many of the great churches of Venice, the Ghetto and its memorials and synagogues, boat trips along the Grand Canal, and visits to islands in the lagoon, including Murano, Burano and Torcello. 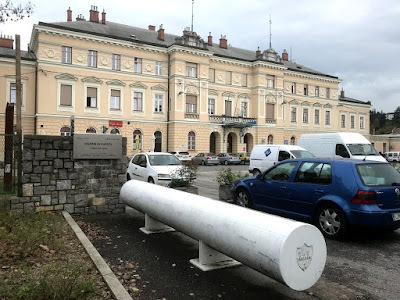 While I was staying in Venice, I visited the divided town of Gorizia, both Gorizia and Nova Gorica, crossing the border between Italy and Slovenia a number of times, arriving and leaving from one railway station in Italy, and having lunch in another railway station in Slovenia. Today, the two towns form one conurbation that also includes the Slovenian municipality of Šempeter-Vrtojba. Since May 2011, these three towns are joined in a common trans-border metropolitan zone, administered by a joint administration board. As I stepped between three towns and two countries, no-one asked me for a passport, no one asked me to take my place in a queue, asking for identity, or my opinion on who should be in the European Union and who should be out. 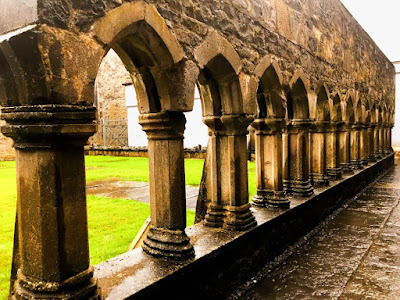 Of course, most of the year was spent in Ireland, but I visited all four provinces, stayed in places in both the Republic of Ireland and in Northern Ireland – in Armagh during the General Synod – and visited each of the cathedrals in the Diocese of Limerick and Killaloe. This year, 2018, was a year that I was blessed with opportunities to take part in baptisms, weddings and funerals, ecumenical services, and the ordinary, every-day life of a parish that brings me many blessings. There was community engagement too, and I was invited to lift two All-Ireland cups this year: the Sam Maguire Football Cup when it visited Ardagh, Co Limerick, as part of the celebrations of the 150th anniversary of the discovery of the Ardagh Chalice; and the Liam McCarthy Hurling Cup, when the Limerick Hurling Champions visited Askeaton. But, most of all, I was blessed this year by the people I love and the people who love me. This Evening: Ten places I have visited in Ireland in 2018.